In a wide-ranging interview with DPReview.com, the President of Panasonic's Imaging Network Business Division, Yosuke Yamane, was questioned on whether the new full-frame S series will grow to include entry-level products. Yamane responded that "the first generation will be specialized for professionals, but in the future, of course we’re also aiming to attract entry-level users". It appears, though, that for now the priority is to appeal to professionals, with Yamane stating that "our image to professional users is very important. That’s why we’re attacking this segment [initially]". Yamane also discussed aspects of the philosophy behind Panasonic's first full-frame mirrorless cameras, from why the company chose to enter the sector to its decisions regarding the size of its cameras. The new Lumix S1 and S1R have a bulky design that’s larger than most other high-end mirrorless cameras, including Panasonic’s own Lumix GH5. According to Yamane this is because “the advice from professionals is that they place more importance on performance, not size”. This goes against a lot of the marketing talk we’ve heard since the inception of mirrorless cameras more than a decade ago, which has for the most part promoted mirrorless as a smaller and lighter alternative to DSLRs. What else did we learn about the Lumix S1R and S1? Panasonic also believes that the 47MP Lumix S1R and 24MP Lumix S1 will be the most durable cameras available, with Yamane saying "we are targeting the very highest level of durability in the industry. [The Lumix S1R and S1] are entirely sealed to be dust and splash-resistant, and operate in very low temperatures – even exceeding the limits of the GH5". The cameras will also get what promises to be the world's most reliable shutter mechanisms, with Yamane stating that "most competitive cameras are guaranteed to 200,000 actuations. Our camera will be tested for more. That’s the kind of thing that we prioritize, for professional use". 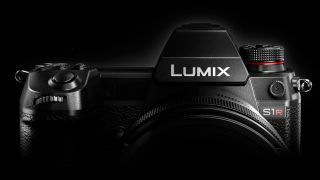 As to whether Panasonic is manufacturing its own sensors for the Lumix S1 and S1R, Yamane was cagey. Asked if the sensors were being fabricated by Panasonic, Yamane replied "obviously we have sensor-manufacturing experience, but I can’t disclose anything. Even if we outsourced [sensor fabrication] the design would still be to our specifications. Picture quality is not only determined by the sensor. There’s also lens design, and processing technology". To get the full lowdown on everything we know about the Lumix S1 and S1R, check out our dedicated guide.